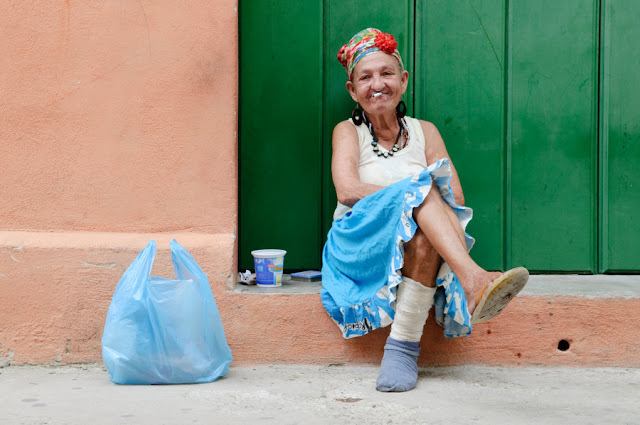 I met this lady taking a break on a Havana street - I liked her smile - I think she liked mine too. Oh and a new gadget I got for the D300s is a GPS unit that embeds the coordinates of the photo into the photo EXIF data. Eventually I will figure out how to display this automatically on the blog, but in the mean time I will enter coordinates for photo manually where it says "GPS" below.